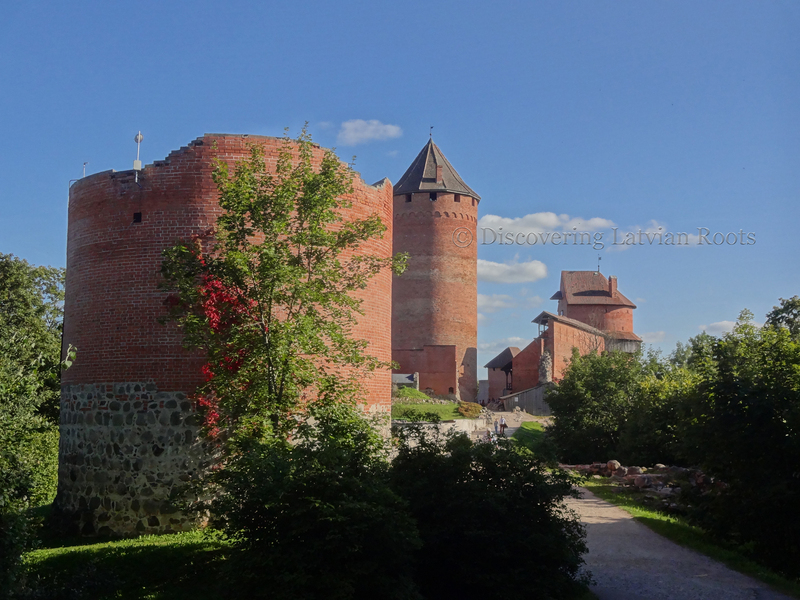 This is the first in a series of posts regarding Finnic influences in Latvia, which will discuss places, names, language and population, as well as the relevance that this will have on your genealogical adventures. Since Finnic peoples were never an occupying force in Latvia, as much attention isn’t paid to their influence when compared to Germans, Russians and Swedes, but the influence is actually quite substantial, thus why I’ve decided to discuss it here. First of all, who are the Finnic peoples that I’m referring to? In brief, these are the people who speak Finnic languages, a language family in Europe that is unrelated to the Indo-European language family that dominates the continent. Included in the Finnic language family are Estonian, Finnish, Livonian, Seto, Karelian, Võro and more, and these languages are a part of the broader Finno-Ugric language family which also includes Sami and Hungarian. For our purposes, the most relevant languages for us to focus on are Livonian, Estonian, Seto and Võro. Livonians are a Finnic ethnic group indigenous to Latvian territory, though they are, at this point, almost completely assimilated to Latvian, with few speakers of the language, though it is starting to make a resurgence. Estonians are, of course, our northern neighbours. Setos and Võros are minority groups in southern Estonia, in the regions bordering northeastern Latvia and Russia. Modern Livonian territory is considered to be in western Latvia, around the cape of Kolka and south towards Ventspils, on the Livonian Coast. Historically, however, the Livonians extended also across northern Latvia and the districts of Valmiera and Valka and down to the Daugava river. The settlement that would eventually become Rīga was founded by Livonians, and they also gave names to many of the towns and villages across northern Latvia. One easy way to identify a place name as being of Livonian origin is the suffix -ži. At least that is what all the different resources I’ve consulted say, but none of them have been able to tell me why. It is true that most places with this suffix – Ainaži, Lugaži, Ropaži, Vidriži, to name a few – are found in northern Latvia in formerly Livonian lands, so this would make sense. But if the -ži suffix has a specific meaning on its own, that I can’t say. Ainaži comes from the Livonian “āina” and Estonian “hein” meaning “hay”, while for the hamlet Aijaži, the name comes from the Livonian “aigi” and Estonian “aia” meaning “fence”. Turaida Castle ruins, September 2014. Photo taken by me. Click to enlarge. The name Turaida is an ancient one, and linked to the Finnic god Taara – also believed to be connected to the Scandinavian god Thor. The name Turaida comes from the Livonian “Tara aida” and Estonian “Taara aed” – God’s garden. That Taara was a god worshipped in the Baltic by the Finnic people is attested to by Henry of Livonia in his Chronicle, written in the thirteenth century. The town of Tukums also takes its name from Finnic languages, most often interpreted as the Livonian “Tukā mō” and Estonian “tukk maa” – end or fringe of the land. Another interpretation is the Estonian “tukkuma”, a conjugation of the verb “tukkuda”, meaning “to snooze”. Rūjiena, in the north of Latvia, is believed to come from the Estonian word “ruhi”, meaning “dugout canoe” (the town name comes from the Rūja river, which flows through Rūjiena, and originates in Ruhi lake in Estonia). Nearby Ipiķi has two possible Estonian sources: “hüpak” meaning “jump” or “ööbik” meaning “nightingale”. On the other side of Rūjiena from Ipiķi, there is the hamlet “Piksāri”, Estonian “pikk saar” – “long island” (however, there are no visible islands anywhere in the vicinity, let alone a body of water big enough to have one, so perhaps the name comes from the fact that the area has many little rivers, so Piksāri looked sort of like an island, even if it really wasn’t). The Livonian Coast in Kurzeme around the Cape of Kolka also has Livonian names for the communities found there. Out of respect for the Livonian people, there is a growing usage of these names both in public and private communications. These communities are (Latvian/Livonian): Lūžņa/Lūžkilā, Miķeļtornis/Pizā, Lielirbe/Īra, Jaunciems/Ūžkilā, Sīkrags/Sīkrõg, Mazirbe/Irē, Košrags/Kuoštrõg, Pitrags/Pitrõg, Saunags/Sǟnag, Vaide/Vaid, Kolka/Kūolka and Melnsils/Mustānum. There are a variety of Estonian and Livonian words to keep an eye for in Latvian placenames, remembering that they could be rendered through several different alphabets and languages, so they might not at first glance look to match, but do. These are words to do with natural features – “saar/kǭla” (island), “jõgi/joug” (river), “järv/jǭra” (lake), “maa/mǭ” (land), “org/luoik” (valley), “nurm/nuŗm” (field), “mägi/mäe/mäg” (hill/mountain), “küla/kilā” (hamlet) and “soo/sūo” (swamp). Also important could be popular tree names – “tamm/täm” (oak), “kask/kõiv/kõuvõ” (birch) and “kuusk/kūzõ” (spruce). Next up: We will be talking about Finnic influences on personal names – both given names and surnames. There are a lot of them, so to prepare keep in mind the last paragraph above – remembering the crossover between Latvian place names and surnames, these elements will repeat! This post is made possible by my supporters on Patreon. Sign up there to support my work and be the first to know about my new projects and products!